came in a metal can type small box labeled mens watch...had a small rub marl on watch band will keep but . A screw-down crown (knob) creates a water-resistant seal. Tounscrew the crown, turn counter-clockwise and pull/push intoposition to set time, date, and other functions. To close thecrown, press it against the case and turn clockwise. I do a lot of my Christmas shopping through Overstock every year for my daughters who live out of the city. 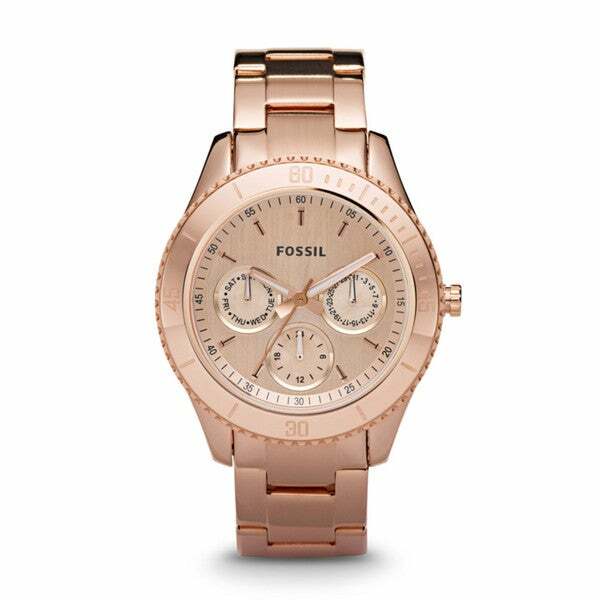 A rose gold watch was a requested gift that was exactly what they were looking for. She was delighted with this watch which was a birthday present. It looks exactly like the picture. "Does the bezel on this watch rotate?" The bezel on this watch does not rotate. "is it Original? and warranty?" Hello ME, this watch is original. It does not have a warranty. Thanks for shopping with us!